Demon's Crystals, the twin stick shooter coming soon to Xbox, Released a teaser trailer today to show off their upcoming game. BadLand Games the developers have the players playing as Uricans which are powerful astral demons. They were the most powerful until three mysterious beings came along and turned their planet's very peaceful world and threw it into chaos by turning their population into their minions. Now the Uricans must take back their planet while guarding their life giving crystals. As you can tell this game over many power-ups, modes, and weapons. Eight different game modes will be available including solo, competitive and co-operative play, and survival mode. As we saw in the trailer weapons will include but are not limited to a missile launcher and mysterious blue force assistants while power-ups include bullet time, winged boots, ice runes and blue mushrooms. 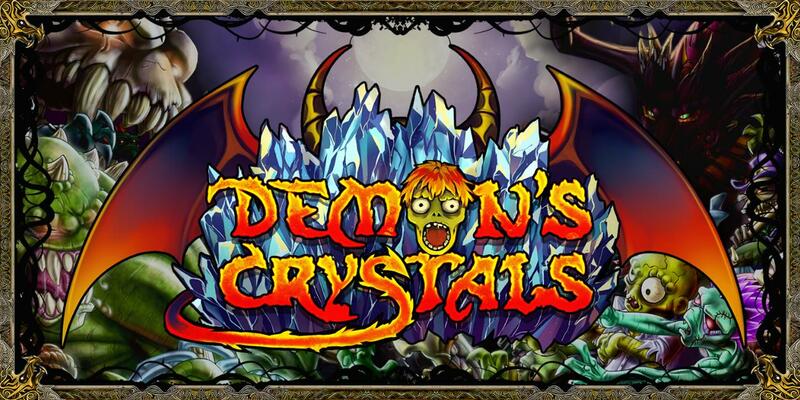 Releasing on May 12th on Xbox one Demon's Crystals will be $4.99.